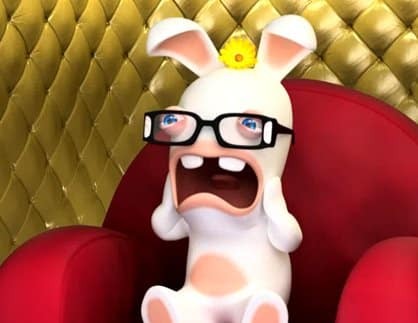 As part of Ubisoft’s on-going fifth anniversary celebration of the Raving Rabbids series, the publisher has today announced that they are to release a new downloadable track for Just Dance 2 starring the zany characters themselves. “Here Comes the Hotstepper” by Ini Kamoze is the track of choice, and is due to be free for the first ten days of availablility (April 20th- 30th 2011) and will cost 300 Wii Points thereafter. You’ll be able to witness the Rabbids shake their booty on the Just Dance floor as they totally mess up the choreography.